Kneelers and kneeling pads are excellent for relieving stress on your knees. I wouldn’t be without mine in the garden. I’ve also found that they’re excellent for kneeling on soil without compressing it or getting yourself dirty. Whether you’re working in a bigger space, or you’re looking to avoid the stress of kneeling down on patio flagstones, then our selection of the five “best to buy” will set you on the right path. A lot of the top brands offer great products and we’ve had a look at some of the most popular. Let’s dive in. Click here to jump to our in-depth reviews of the best kneelers. If you write a lot of gardening reviews, like I do, you quickly learn that gardening tools and accessories have many slight variations. This is certainly true of kneelers and kneeling pads. There are essentially two types that are available to you: simple kneeling pads or mats (not knee pads) and models that also have handles and can double up as a stool (think of those high pruning jobs). The mat/stool hybrid are what are generally called kneelers. Alongside these, you can also use traditional knee pads. My good ‘ol dad used them, but I personally find it annoying to walk around with them on all the time. Kneeling pads are invariably cheaper and do the job perfectly well. That said, the folding models can be particularly useful to those in urban spaces (they double up as a low-cost, folding chair) or for those with mobility needs because the handles can provide some extra support when kneeling down. Garden Kneelers – Garden kneelers (see the picture on the right) are foldable stools which can upturned for use as a kneeling pad. The main benefit is that you can alternate between working from a sitting position and a kneeling one. 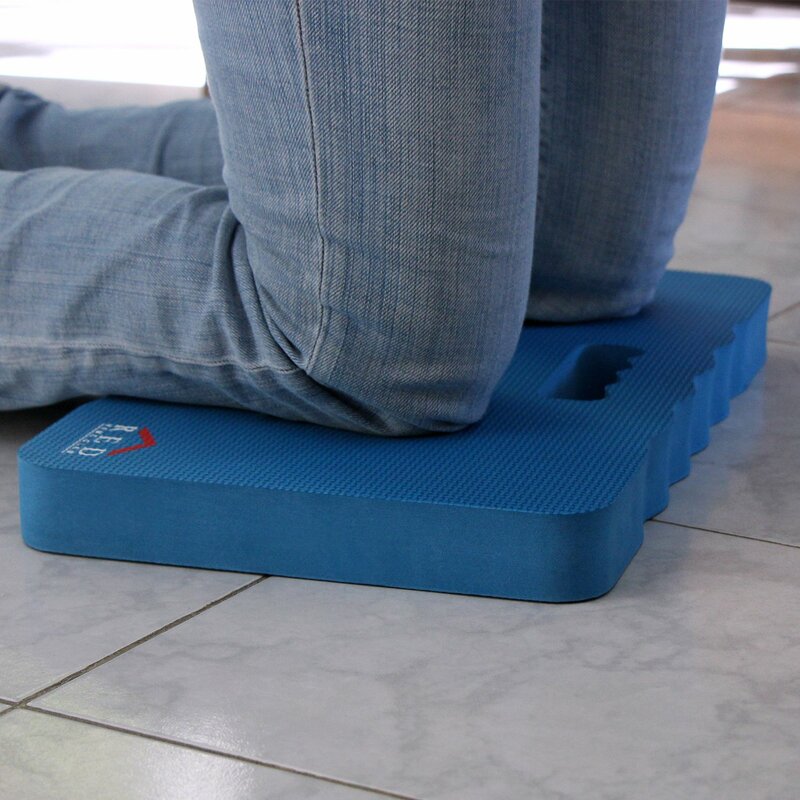 Kneeling Pads or Mats – Kneeling pads (or mats) are essentially hunks of foam with a handle. They’re usually made from a durable polymer (plastic) like polyurethane. As I mentioned, I prefer simple pads over kneelers. 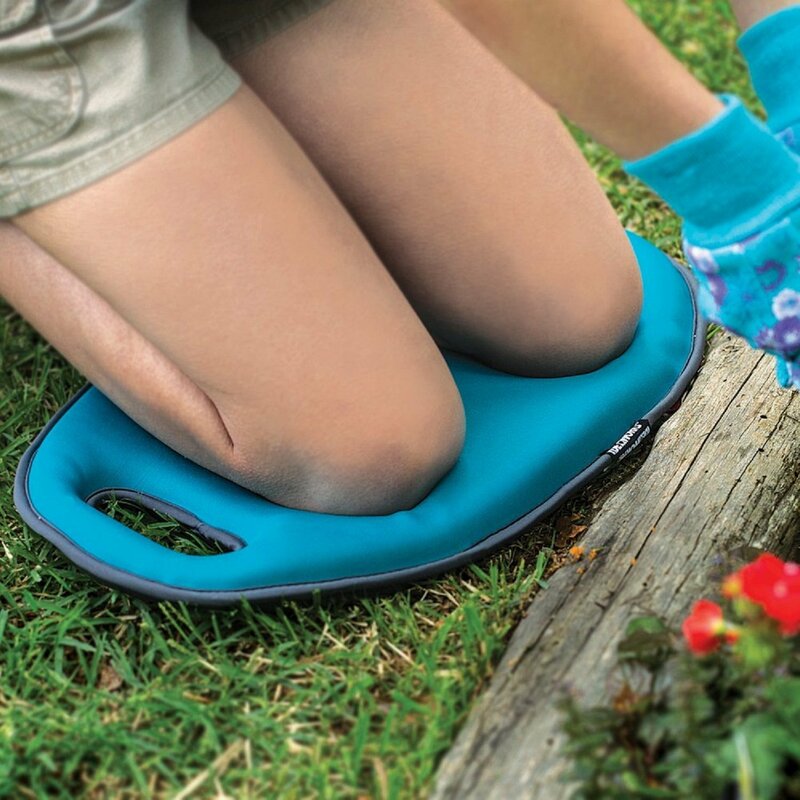 Knee Pads – Knee pads made specifically for gardening will include extra cushioning. Thick “Red Home Club” pad. There isn’t a great deal to look for in kneeling pads and kneelers, just make sure that you cover a few basics. Durable cushioning – Make sure that the pad is thick. Most will be made from a durable polymer, so you don’t usually need to worry too much about the material. Thickness is the main thing! Metal – My general advice is to avoid plastic kneelers. They simply don’t last as long. High-density foam – Generally, I would advise against buying memory-foam pads (and similar compressible materials). They can be useful for light use, just remember you’re exchanging durability for comfort. I’ve said it before and I’ll say it again: avoid thin, flimsy kneeling pads like the plague! This one is made from 1.5 in. thick, high-density foam. The quality of the foam, along with its rigidity, means that it’s less prone to tears and punctures. It’s also larger than most other mats (both thickness and width) so you needn’t worry about shuffling about on it. If you’re after a relatively inexpensive and long-lasting kneeling mat then I can’t recommend this one highly enough! For those sick of flimsy foam that wears down after one season, this will be a breath of fresh air. 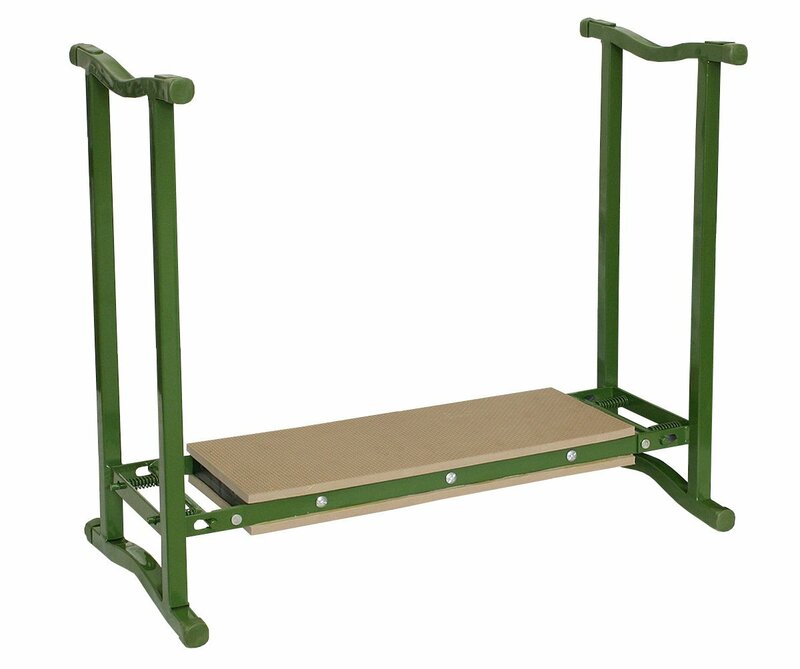 If you want a sturdy and long-lasting kneeler then this model is the way to go. Midwest Gloves and Gear is a Missouri-based company that makes a range of top-quality gardening accessories . 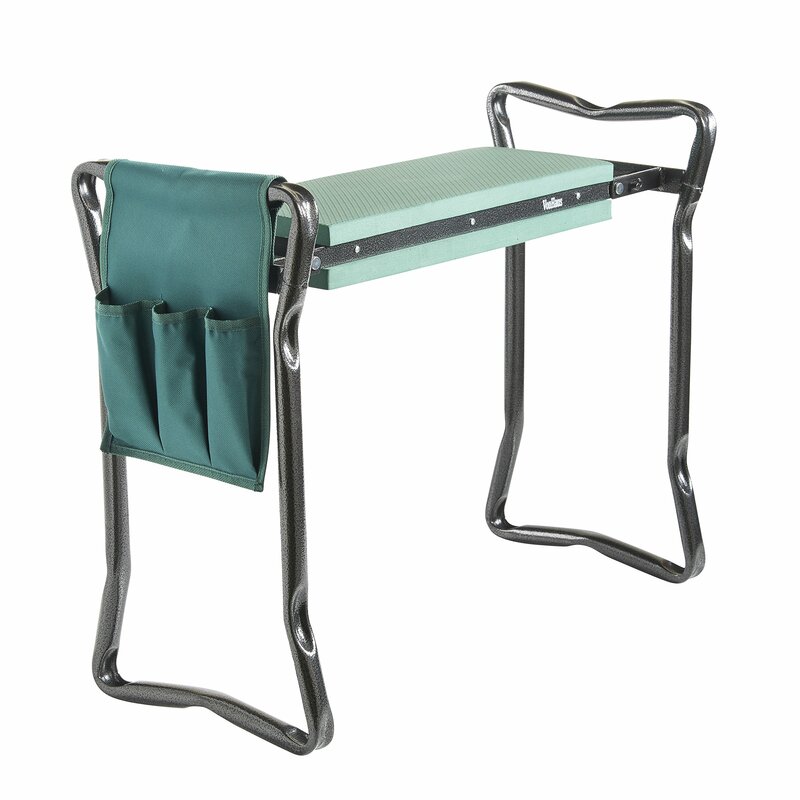 This kneeler made from green-painted aluminium – and so is completely weather-proof and light – and folds easily. The extended legs are held in place by a spring locking system which improves the stability (this is a unique feature that I haven’t seen in a lot of other kneelers). The pad itself is thick and durable. All in all this is a great quality product and the best kneeler I’ve come across. I’m a fan of Gardman products. They’re a UK company best-known for their range of inexpensive garden necessities. Their grow bags in particular come highly recommended! If you’re after a sturdy kneeler but don’t want to pay over the odds then this one, which comes in three different colours, may well be the way to go. It’s made from tubular steel, so is very lightweight, and the foam mat is thick (1 in.) and rigid. It’s made from EVA, the same material used for yoga mats. It folds up easily and is a good all-round model a little lower on the price spectrum. 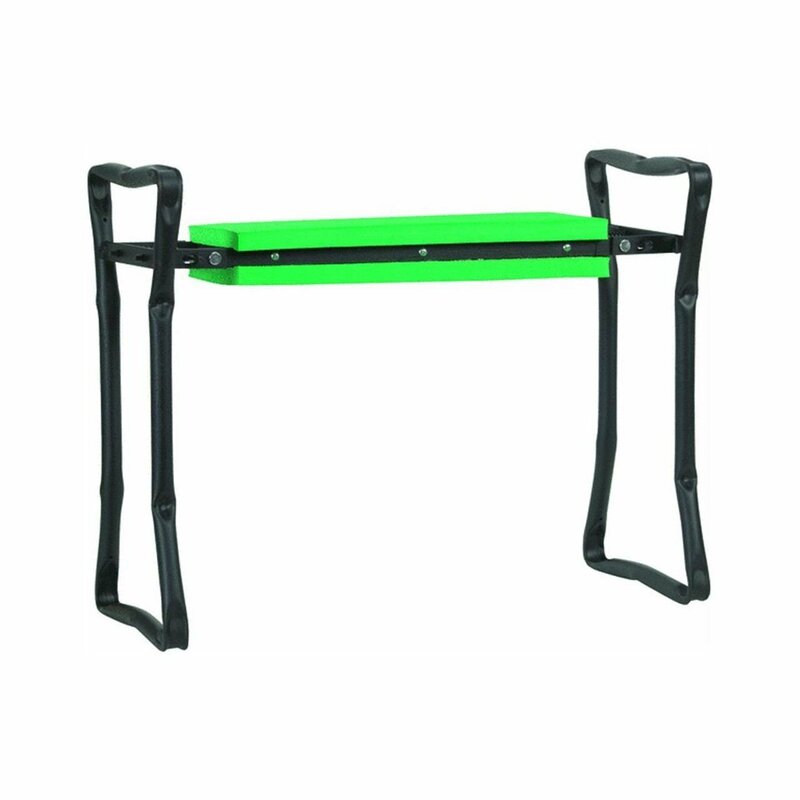 The stand-out feature of this kneeler is the tool bag, which you can use whilst gardening. It has a very similar design to the Midwest kneeler, with the notable exceptions that it is made from steel (not aluminium) and the handle depressions are not as deep. It utilizes the same spring locking action. The steel frame is powder-coated, which means that it is fully weatherproof, and the foam EVA cushion (again, just think of yoga mats) is thick and durable. This is, in my opinion, nearly as good a model as the second pick on this list. If you prefer the design, go with this one. A common complaint is that high-density foam mats are too hard. Personally, I don’t find this an issue. If you do prefer more comfort, however, then this memory foam cushion is worth considering. It’s about 2 in. thick and is encased in a wipe-clean cover. The main worry I had was that it wouldn’t clean easily, but after trying it my fears were remedied. It’s not for long-term use (it isn’t hard-wearing) but for lighter gardening it’s ideal. Even if you do want to use it over a longer period, it’s inexpensive enough to warrant being replaced regularly. What are your thoughts? Have you tried any of the selections in this list? Are there any kneelers or kneeling pads not included that you like? Leave a comment below and let me know! Great insights on kneelers and kneeling pads. I honestly didn’t know the difference. I have never used them. I prefer knee pads but hey, your review has just made me re-think my decision.